Welcome to A Maverick Modelers Digest! 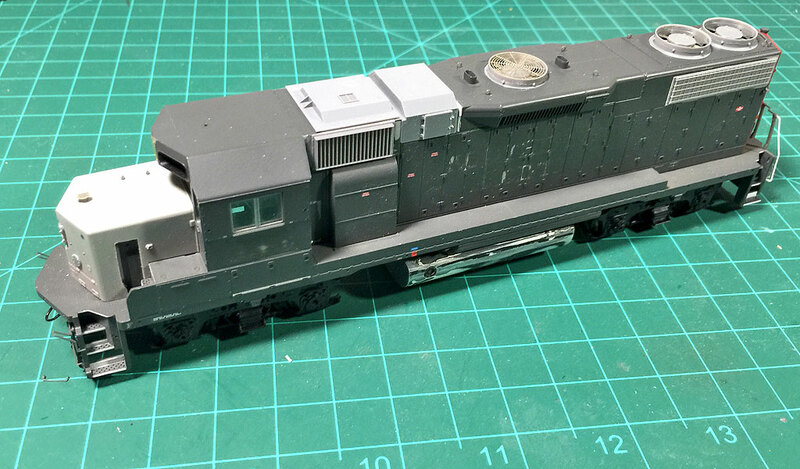 Starting point: LifeLike Proto2000 SP GP38-2. These locomotives out of the box didn't even come close to SP as delivered GP38-2s, instead, represented the ex L&N/HELM leasing units. I've been modifying this locomotive for a while now. It has had a lot of challenges since the dimensions are off by 6" scale in overall hood height. This meant using a Cannon Nose/Cab/Sub Base was out the window. There has been a lot of modifications made to the stock components to better match the HLCX 3815. Pushbutton switches to activate Tortoise switch machines. Carving foam and detailing erosion without plaster. Regearing and remotor madness!! Hint...fast motors + ernst gears = more pulling power. And more stuff that I haven't thought of yet!